There are a lot of exciting things going on at Hash Rush HQ, from our office redesign to brand new in-game screenshots! However, we’re now thrilled to introduce you to our newest addition to the team — Rick Gush! 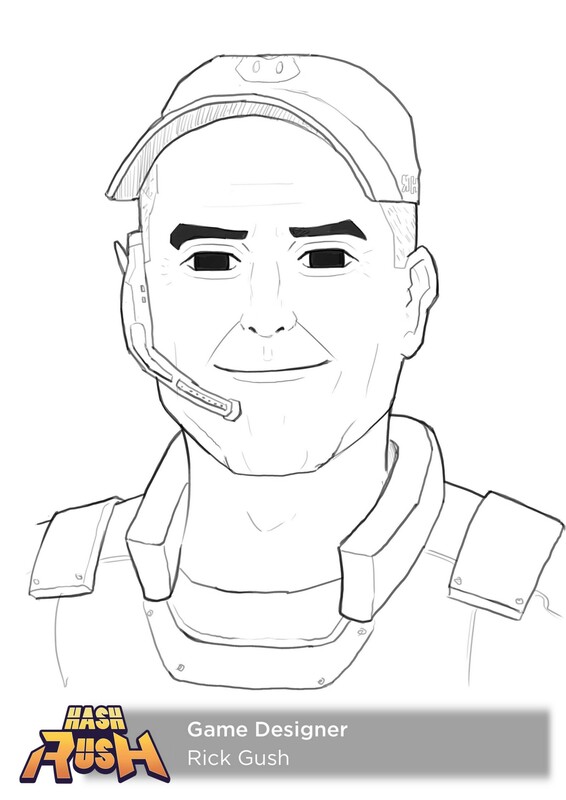 Rick will be taking the helm as our Game Designer and he’s no newcomer to the industry. With years of Game Design under his belt, we’re certain there are some title’s he’s worked on that you’ll definitely recognise. Hey Rick, thanks for making some time to speak to me. Could you let us know what you were up to just before this interview? I was working on the layout of all the design components, and before that, well, I’ve been working as a game design consultant for lots of studios in and around Europe for the last 15 years now. Let’s start with a brief introduction. Who are you and what do you do? I’m an old geezer who had the good fortune to be in the right place at the right time to make some awesome games years ago. These days I use that reputation to get free beers. Free beers are always great! For people that aren’t familiar with game design, what does your work entail? Game design is a lot like writing for the theatre or planning a big party. There’s a whole ton of details and a lot of diverse personalities are involved. One needs to enjoy using the chaos of complex projects as an artistic laboratory. It’s crazy and usually frustrating, but it’s way more fun than selling shoes. Seeing as this isn’t your first gaming project, let’s talk a little about other projects you’ve worked on. I’ll bet I’ve worked on several hundred computer game projects, but most, as is the industry norm, never got published. We are resolved not to let that be our fate with Hash Rush. I suppose the Westwood games for which I was on the team were both my favourites and the most well known. 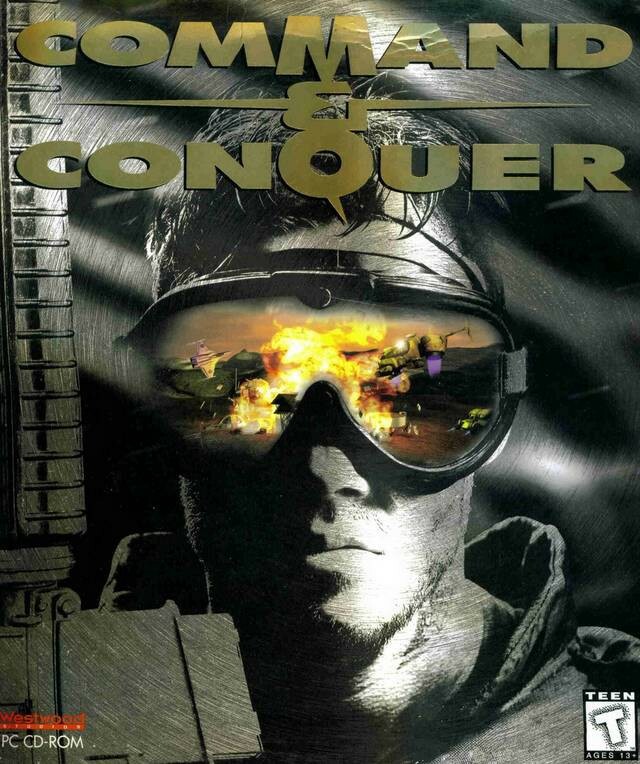 I owned Lands of Lore and Kyrandia series’, and was a principal in Dune II, and the first Command & Conquer game. My next favourite game was Absotruckinlutely, a mobile monster truck game for girls that only lasted six weeks in the app stores (“£$&%* publishers!) but we did rack up 3,700 euros in in-game transactions just for allowing the switching all the obstacles in the game to penguins. That’s the sort of weirdo humour I like. So how did you come to hear about the Hash Rush project? I heard about Hash Rush last fall, but it took us a lot of months to finally get together. I read all the team bios and watched all the videos on youtube and decided I really wanted to be a part of this team. I’m not yet a crypto guy, but I am a revolutionary, and crypto is what I’m calling an inevitable revolution, so being on the front lines is big fun for me. Crypto is ever-changing, it’s quite fun continually learning more. Considering that you’ve just started what are your main responsibilities in the Hash Rush team? I’m Nathan’s new partner on the design side. Right now we’re slamming daily to get the *”+£%*! design document finished finally. So apart from nailing the design document, what does a ‘day in the life’ of Rick Gush look like? I’m a farmer at heart and get up with the chickens. I get to my office a bit after 5 am and goof off extensively all day long, but still manage to sneak in a surprising number of productive minutes. I am no fun at discotheques, because I’m usually in my pyjamas by 10. I know you’re an avid gardener, I hear you’ve crafted a vertical garden that is quite the spectacle to behold, what first interested you in the botanical world? I was an annoying child at nine years old and would yell out the Latin botanical names of every tree and bush we’d pass, whether we were walking or riding in the car. I am now, frankly, pretty awesome with agriculture and gardening, and will be happy to speak with anyone about their horticultural projects and interests. So I know it’s early days, but what is it about Hash Rush that sparked your interest and what do you find interesting about the project? Hash Rush: Smart guys and a revolutionary product, what’s not to like? There’s been word of an expertly crafted “chair-in-a-bottle” and something about a super-festive mode of transportation? Well, forget a “ship in a bottle”, who needs that, we’ve got furniture! 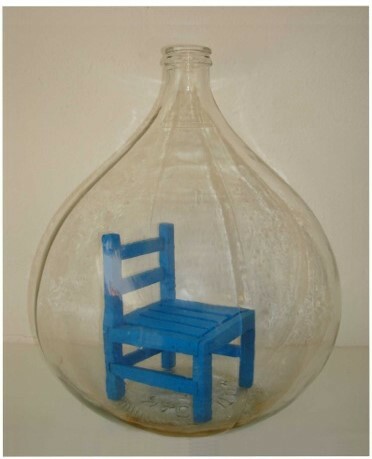 I have to ask... how on earth did you get the chair in the glass? That was my inspiration, and this was my ridiculous response. 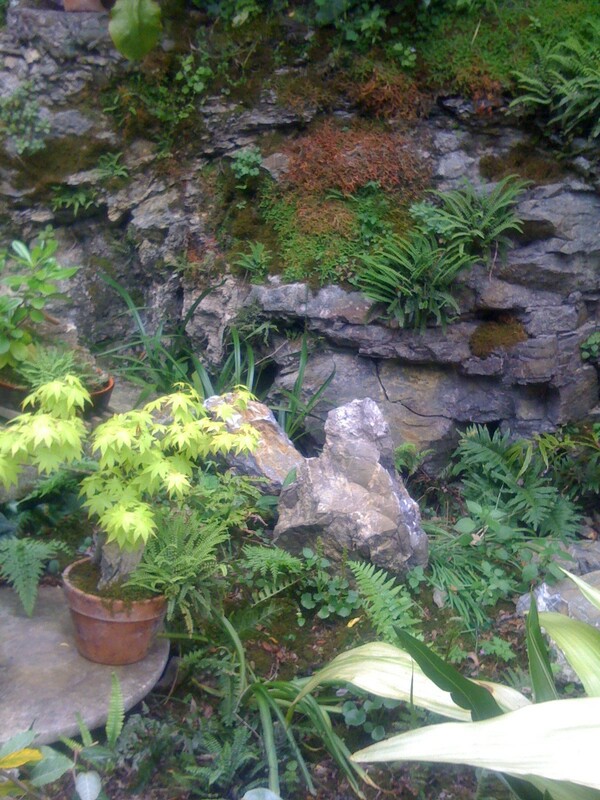 I built it in there with long tools, it was nerve-wracking - one mistake and it would have been ruined. So what about that festive ride I’ve heard about? 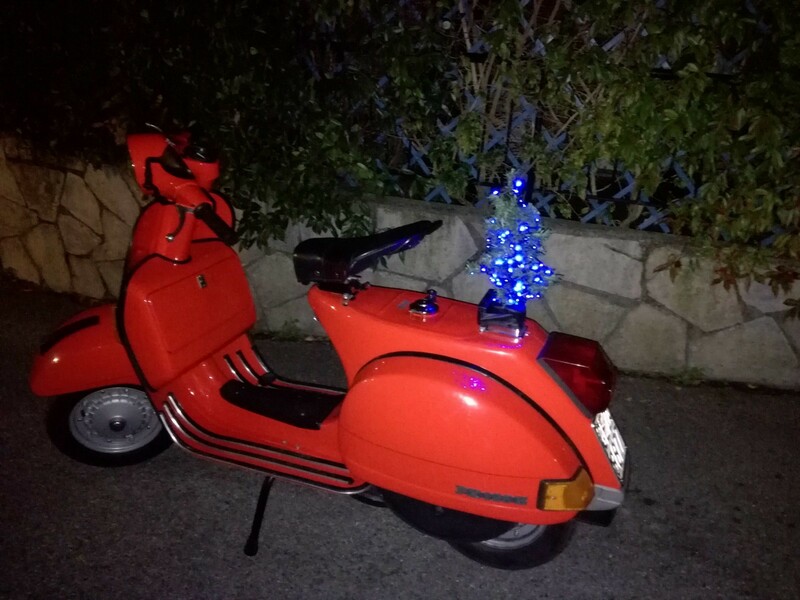 Hold on, have you duct taped a Christmas tree to the back of your Vespa?! Yep I gained a lot of street cred here in Italy! Well Rick, I feel we’ve learnt a lot about your creative side here, so, thanks for taking the time to do this interview! Any final thoughts you would like to leave everyone with?